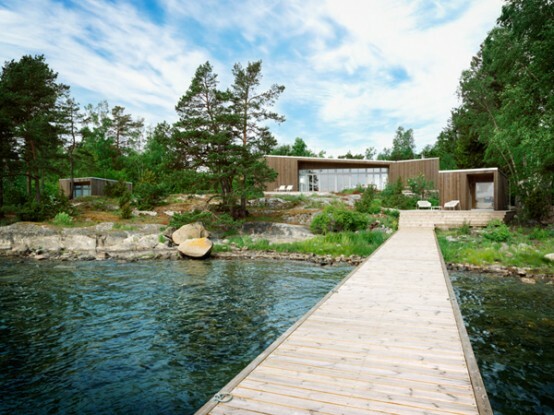 Folded Roof House is designed by Claesson Koivisto Rune and located not far from Stockholm in a heavily wooded area. 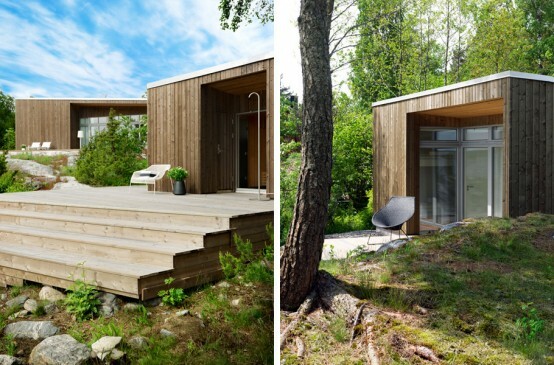 It’s a one-storey house with an asymmetric folded roof plane that reminds wings of a butterfly. 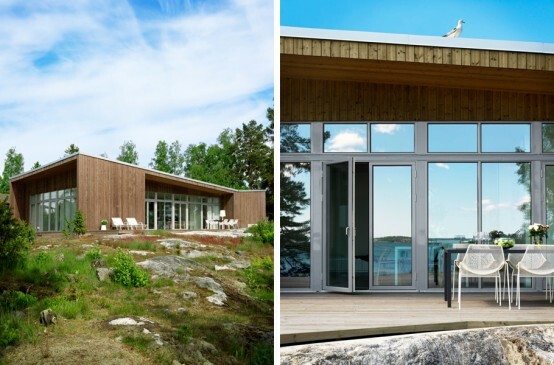 Exterior’s materials blends with natural surroundings very well. The bedrooms are positioned at the gable ends and the living room is between, with an open main facade. 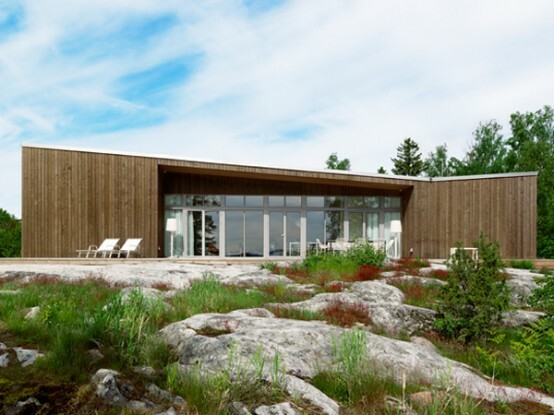 The interior also features a lot of natural materials and has quite good contemporary Scandinavian design. Even though it looks quite modern natural elements make it really comfy. 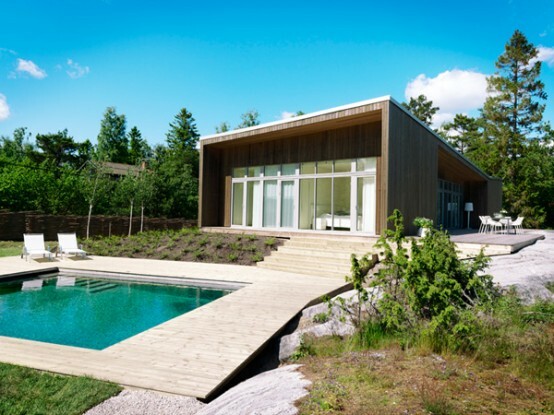 Almost the whole house is prefab so its construction wasn’t as hard process as it could be.